"Martin Scorcese's Oscar-winning 'The Departed,' a remake/rip-off of the nail-biting 2002 Hong Kong thriller 'Infernal Affairs,' turned off fans of the original for one unavoidable reason — and it wasn't Jack Nicholson's scenery-chewing. It was the absence of the smoldering Tony Leung in the role of the undercover cop lost in a convoluted game of spy vs. spy. As good as Leo DiCaprio's Boston honk and flinty rage are in the remake, he just can't hold a candle to Leung. How sad that NYT didn't get the point of Lust, Caution. Guys like travel buddy Pangs, also didn't like the film and can't understand why we ladies are going gaga over Tony. He says he doesn't know what we see in this guy. Simple. The girls call it the "paso" factor. 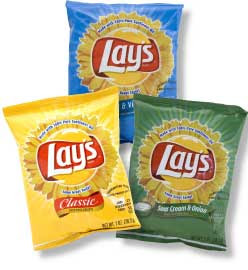 Here's a good read though, still from NYT, about how PepsiCo is trying to green their production of Frito-Lays. While some companies are harping about minor environmental changes in their operations as a marketing strategy, PepsiCo appears bent on implementing wide-ranging changes. For the sake of Mother Earth, let's hope this move by one of the world's largest food and beverage firms, jumpstarts a radical industry-wide, global revolution. Read on at Low-Guilt Potato Chips. Back in Manila, there's news of World Bank's cancellation of a $232-million road improvement project due to ehrmmm, "anomalies." Why so surprised? Monkey see, monkey do.